Polysiloxane coatings were first patented in the 1980s and became commercially available in the 1990s. Since then, their use has been expanded into storage tanks, offshore and bridges with overall favorable results. 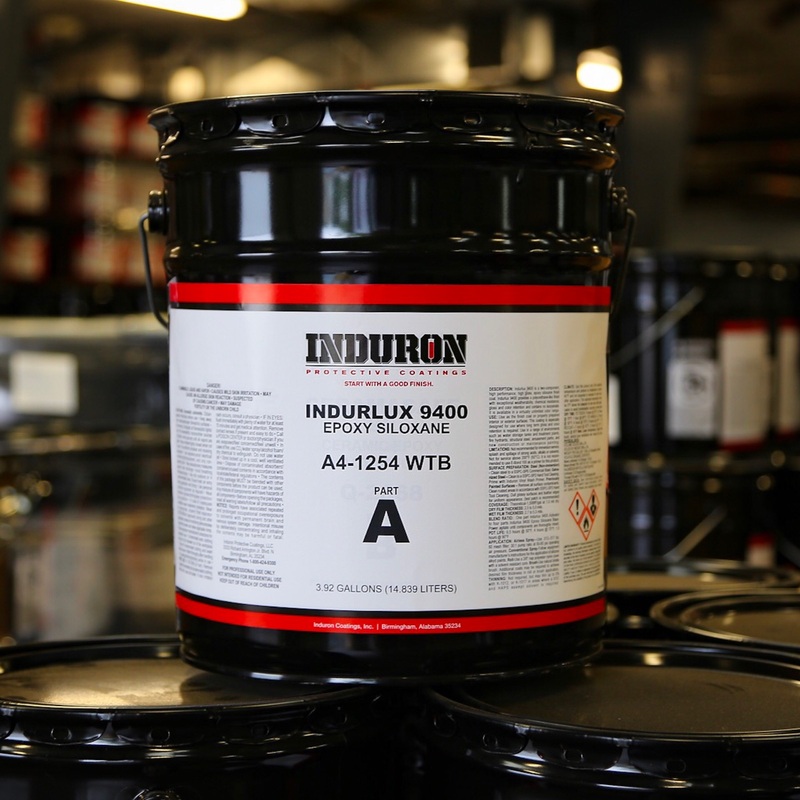 After evaluating the advancements and improvements in this technology, Induron announced the launch of Indurlux 9400, a high-solids, two-component epoxy siloxane with the corrosion-protective properties of an epoxy and the color and gloss retention of a polyurethane. Polysiloxanes, like Indurlux 9400, are siloxane hybrids formulated with an organic resin, such as an epoxy or acrylate system. These resins combine for characteristics that many are calling the premier finish coat on the market today. When it is applied as a topcoat over a variety of primers, including zinc primer, this system demonstrates exceptional performance in corrosion resistance tests. Most polysiloxane coatings are formulated with very high solids and meet the lowest VOC regulations. Higher solids and lower VOCs than polyurethane topcoats. Because of their superior UV-resistant characteristics, these coatings are increasingly used as topcoats in the water and wastewater, marine, bridge, stadium and other industrial markets, as well as in hospitality, healthcare and institutional applications when limited shut-down is a concern and durability and extended life-cycle are critical. Delivers long-term asset protection in aggressive service conditions. Offers enhanced durability and aesthetics. In some cases, intermediate coat(s) may be eliminated. Offers reduced color shift, which eliminates the need for additional coats during long build cycles. Can be applied by spray, brush or roller without thinning, which provides options to match application methods with working conditions. Provides stain resistance and reduces contamination, which makes cleaning an option instead of re-painting. Reduces environmental impact because it is formulated without isocyanates, and has less than 100 g/L [of] VOC (volatile organic compounds), which meets most stringent environmental regulations. 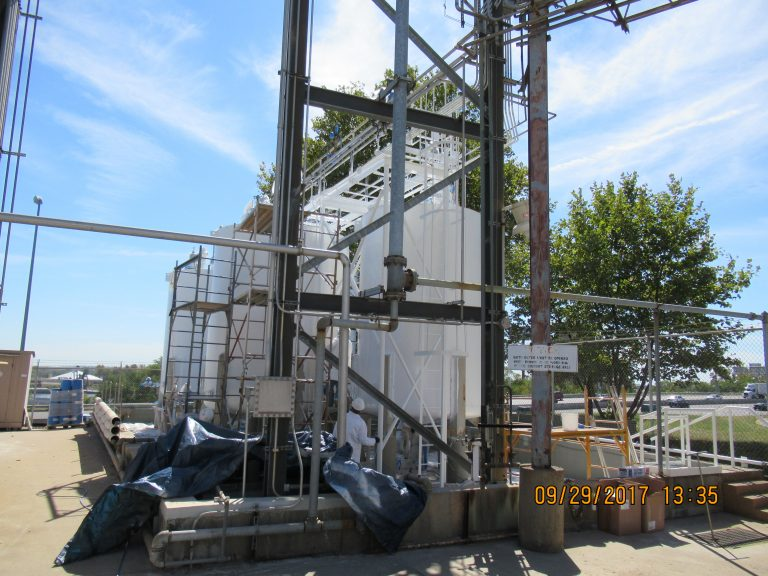 Indurlux 9400 was applied as a finish coat on top of Induramastic 85 on a tank farm located in St. Louis, Missouri. The finish coat was applied and provided an exceptionally high-gloss, bright-white finish. Learn more about Indurlux 9400 by reading the project spotlights below or contact an Induron Sales Representative!